Aunty Makaʻala Kaʻaumoana was born in Kāneʻohe, Hawaiʻi. She was educated in Hawaiʻi, the Marianas and California. Her interest in community issues was fostered at a young age by a father who taught that “service is the rent you pay for the space you occupy on this earth” and by an activist grandmother who was a suffragette and national speaker on women’s rights. She taught public school in Marin County California, where she also began her efforts as an environmental activist and community organizer. Influenced and educated by folks who knew their issues and stood strong on behalf of their beliefs in locally based policies and practices, she was an active member of several organizations and helped found the Marin Agricultural Land Trust and the Environmental Forum of Marin. She was a Board member of the Marin Conservation League where she headed the education committee. Makaʻala retired from teaching in 1988 and returned home to Hawai’i. Seeking a leisurely pace and hoping to write children’s books, she was soon drawn into the work of developing a master plan for Hāʻena State Park. Elected as Program Coordinator of the Hanalei Heritage River Program in 1999, Aunty Maka’ala is now Executive Director of the Hanalei Watershed Hui. Married to Harry Kaʻaumoana, Sr., a Hanalei native, Aunty Makaʻala now makes her home in Kīlauea on a small farm. She held one of two Kauaʻi seats on the Hawaiʻi State Coastal Zone Management Marine and Coastal Zone Advisory Council, is the Conservation Chair for the Hawaiian Islands Humpback Whale National Marine Sanctuary, is Vice Chair of Hui Hoʻomalu i ka ‘Ᾱina and a Board Member of the Conservation Council for. 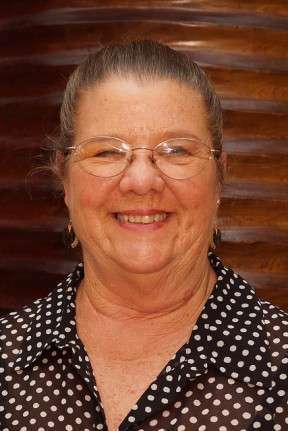 In addition, she is a member of the Hanalei Roads Committee, the Hanalei Bay Coalition, the Hanalei to Hāʻena Community Association, the Kīlauea Neighborhood Association, and the LIMU Coalition.